Hydrocolloids are substances that form a gel in water. They are comprised of heterogeneous groups of biopolymers, which rapidly form viscous dispersions when introduced in water. These substances play very important roles in various industries. 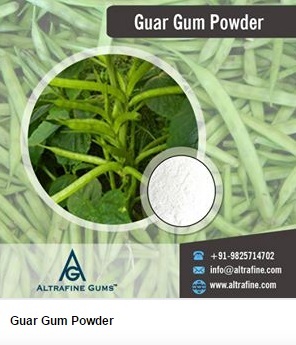 They are mostly used as thickening and gelling agents. Natural hydrocolloids used as thickening agents include; starch, Xanthan gum, guar gum, gum Arabic and the locust bean gum. Those used as gelling agents include the carrageenan, cassia gum, alginate, gelatin and agar. They are also used as food stabilizers. The cassia gum exhibits properties similar to other hydrocolloids and is used as a stabilizer in foods, emulsification, enhancing moisture retention, improvement of texture and in the beverage industry. The average growth rate of the Cassis gum is expected to be moderate between the year2016/2017. There is currently increasing awareness on the presence of cassia gum which functions equally well as the other hydrocolloids, and also equally affordable. The regulatory bodies in various countries have also approved the usage of cassia gum powder and related formulations for use in industries such as in dairy, pet foods and confectionaries. This is expected to cause a gradual upward trend in the sales and demand of the product. The cassia gum is largely produced in China and India where there are favorable weather conditions for production. A closer look at these areas and it is worthy to note there are no quality standards that guide the production and processing of cassia. Lack of these standards has meant consistently poor quality being produced and exported, thus creating a barrier in market expansion. Rain Fed production of the cassia gum in the Indian subcontinent has also been a factor affecting the overall production. Decline in the levels of the monsoon rains have a direct effect on the production volumes and may create a supply shortage. According to reliable market research, cassia gum main markets are the animal food industry being the major consumers, Dairy and confectioneries and meat processing. It is also used in cosmetics, pharmaceutical, paper and chemical processing and to an extent in mining. When compared to the guar, the major demand driver is the oil and shale gas exploration sectors which consumes vast amounts compared to the animal food industry. This has widened the gap in market levels of the cassia gum. 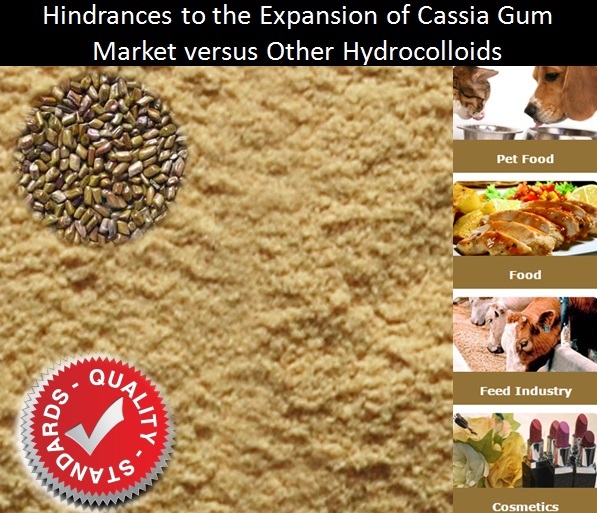 Despite the imbalance in usage of cassia in different industries, there is growing awareness of the availability of cassia gum as a viable alternative to other hydrocolloids. Demand in the cosmetic industry is expected to rise by over 48% by the year 2025, driven by the hair care subsector. The main consumer region is expected to be North America.